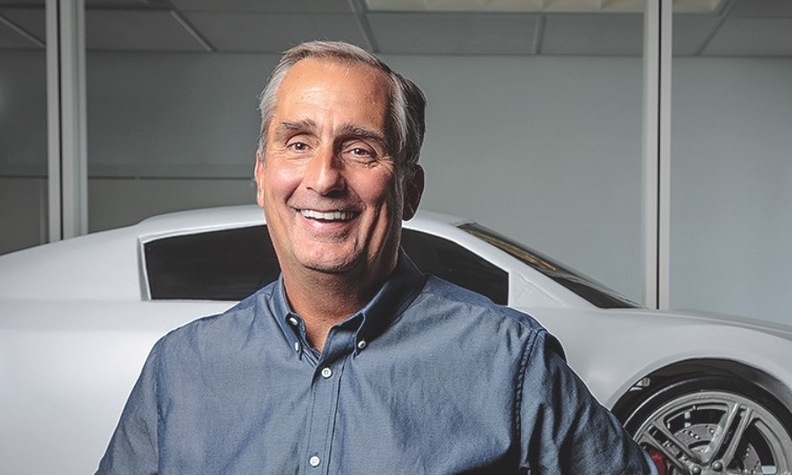 CEO Brian Krzanich said it could take three or four years to convert all client dealerships to Drive Flex. For CDK Global Inc., Drive Flex is not just a modern dealership management system meant to disrupt its competitors. It will disrupt CDK's own flagship DMS, Drive. After announcing Drive Flex last March and then piloting it at two stores, CDK says it has about 40 dealers on a list of the next customers to get the DMS. The plan is to eventually roll it out to all of the nearly 9,000 U.S. dealerships that are CDK DMS customers. Essentially, Drive Flex will be "eating Drive from the bottom up," said Ron Frey, CDK's chief strategy officer. But that will take some doing. The company still must secure manufacturer certifications for Drive Flex, and it will go automaker by automaker to do that, CDK executives told Automotive News at the National Automobile Dealers Association Show in San Francisco last month. CEO Brian Krzanich, who joined CDK in November, explained the process to analysts last week during the company's fiscal second-quarter earnings conference call. "What you're really doing is making sure all of the financial reporting out of the dealership is accurate and reliable back up to the OEMs," he said. CDK has begun the process with its General Motors dealers, focusing first on smaller retailers — those with one to three stores. Next, the company will move the certification process to Ford Motor Co. At the same time, it will be working to install Drive Flex at larger GM retailers. By the back half of 2019, the company should hit a dealership conversion rate that carries it through the rest of the rollout, Krzanich said. "And that's probably going to be a couple-hundred-a-quarter run rate," he said. A majority of automaker certifications likely will be complete this year. But in total, it will probably take three or four years to convert all client dealerships to Drive Flex, Krzanich said. Still, because it's a modern and modular system, CDK engineers will not have to make as many changes as they would with a legacy DMS — even with all the customizations that dealers add to their systems. The capabilities and boiled-down simplicity of Drive Flex — a digital, cloud-based platform — are reasons CDK is hailing it as its DMS of the future. The company has operated Drive Flex at 30,000 feet on an airplane through a tablet, for instance, to make sure it is "truly something that is modern and can be used anywhere," Krzanich said. Rajiv Amar, CDK's chief technology officer, said a key aspect of Drive Flex is its usability. "In Drive, it can take seven screens for you to complete a service order," he said at the NADA Show. "In Drive Flex, it's two." And, perhaps especially relevant to some customers, Drive Flex will be where CDK's initiative to deliver more simplified billing gets its start. CDK executives have heard customer feedback that the bills are too complicated — among other gripes. The goal is to eventually get all billing down to one page per store. It's all part of the plan by the industry's largest DMS provider, by U.S. market share, to shore up its customer base and attract business as it moves forward with a new CEO. In the conference call, Krzanich pointed to some early data that offers promise for the company. Retention of at-risk customers — basically any dealership that could be up for a contract renewal — improved 20 percent during the last two months vs. the previous five, he said. "While this is only a couple of months of data, the trend is encouraging as we double down on our many customer-oriented initiatives," Krzanich said.